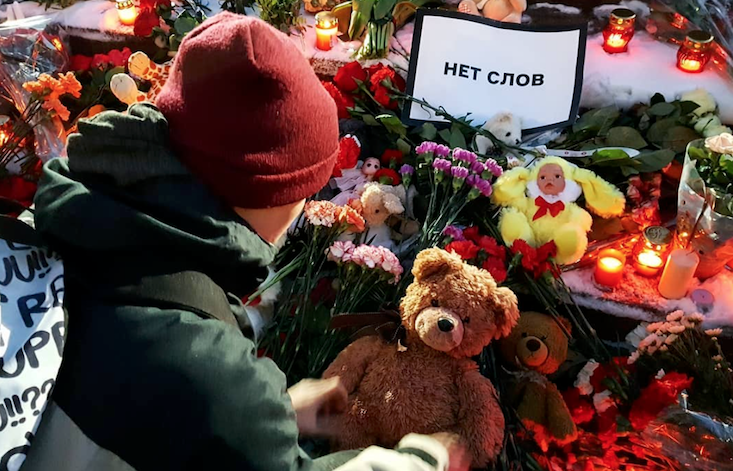 Russians are harnessing the power of online bots to crack down on businesses flouting fire regulations following a blaze in Siberia which claimed more than 60 lives. Based on messaging app Telegram, the bot allows users to report emergency exits which are blocked or locked in local shopping and business centers, cinemas, kindergartens, schools and other public places. The team behind the bot — called “Otkroi Dver” or, “Open the Doors” — have pledged that all information will automatically be sent to the Prosecutor General's Office. More than 50 institutions have already been added to the list, spanning all of Russia’s major cities. The drive comes after a fatal fire at the Winter Cherry shopping mall in of Kemerovo on Sunday, which left at least 64 people dead. Forty-one of the victims were children. Eyewitnesses reported that emergency exits in the shopping centre and the adjoining cinema were locked, leaving visitors unable to escape the flames. Others also said that the fire alarm was switched off by security guards soon after it was triggered and that staff failed to organise an evacuation. The tragedy triggered protests across the country, with 28 March declared as an official day of mourning.